W.F. Gregory advised collectors on how to bid at stamp auctions in the February, 1905 issue of "The American Journal of Philately"
Ding-dong! Ding-dong! Vendue! Vendue! Ringing a bell and shouting “vendue” the town crier used formerly to call the public to attend upon sales by public bidding. By this method all sales by order of courts or other public officials were required to be made. It was also a convenient method of disposing of miscellaneous property expeditiously. In later years we find the auction-room a popular method of dispersing many kinds of merchandise. The entire product of a large cotton or woolen mill may thus be distributed among the wholesale or jobbing houses of the country. This method of selling, once synonymous with sacrifice, is now often the arbiter of market prices. In no line of business has the auction mart become more popular than the stamp trade. The sales of stamps at auction in New York have reached nearly $100,000 in a single season. Still it is a matter of surprise how few collectors avail themselves of the advantages of buying at auction. And there are not a few who, not understanding the method, have tried unsuccessfully to buy at auction. 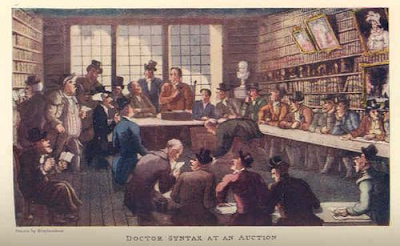 The purpose of this paper, then, is to assist those who are, or would be, buyers, by outlining the course of an auction sale and advising them of their rights and obligations. First, it must be understood that those who conduct sales rarely offer their own goods. Cataloguers of reputation have sufficient consignments to tax their facilities to the utmost. The first work of the cataloguer is to separate a collection into lots best suited to the convenience of the probable buyer, be he collector or dealer. From a careful collation of these lots results a catalogue which will enable the would-be purchaser to form a pretty accurate idea, with the aid of a standard catalogue, of what stamps constitute each lot. 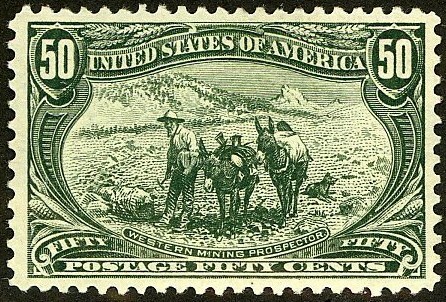 The condition of these stamps can only be generally described, as there is no fixed standard. Many collectors erect a standard of quality so very extreme that they can only determine by examination personally, or by a special agent, if the stamps offered will suit them. The average collector, however, may accept the description in the catalogue to mean “marketable,” unless otherwise described. Probably not ten percent of the best collections of the world are in the condition required by the ultra-extremist. It is, then, hardly reasonable to expect perfection where there is only a possibility of 1 in 10 of its existence. Having placed this catalogue before the buying public, many bids may be expected by mail. And it is at this point many bidders fail to understand the character of the sale. If a lot of stamps which a bidder wants is catalogued at $10 and he would be quite willing to buy from a dealer at $6, why should he not bid $6 for it and perhaps get it for less if others did not bid on it? If one makes liberal bids, it does not follow that he will have to pay the limit. It is customary to execute the highest bid at a fair advance over the next higher, at which bid it would be “knocked down” if there is no competitive bidding from the floor. The room bidders must always be reckoned with. The bidder should always remember that there are perhaps twenty others bidding on the same stamp, some of whom are willing to pay as much as himself. His bid is, therefore, executed at the limit, the first bid received at this figure taking the prize, if the room bidders permit. Those in the room are always at an advantage in the bidding and usually secure the snaps. The sale having been completed, in compliance with the law, which in this city is very strict, is absolute, and every bidder may be compelled to complete his part of the contract by paying for and taking away his purchases. No man, under the law, may refuse to accept and pay for his purchase, which has been on public view, even if not in accordance with the catalogue. If he has been wronged, he may seek redress and will be surprised to find how sensitively the law responds. Appeal to the law is needless, however, as the manager of the sale will wish to avoid any unpleasant notoriety, and the auctioneer to protect his license and his bondsmen. Some bidders, not satisfied with their purchases, seek an excuse by which to avoid their contract, and display a petty meanness of which they are probably quite ignorant. How hard to see ourselves as others see us. They return lots because they are not satisfied and compel the manager to become the purchaser at the prices they have bid. The manager has no redress but to cut off the offender from his lists. To make low bids is quite proper and hurts no one except the bidder. We have seen strings of 200 or 300 bids on a single sale where the bidder would get two or three lots no one else wanted. If gunning for bargains, reasonable bids on desirable stamps is often very successful. 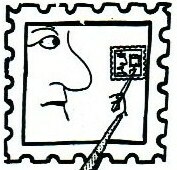 If the stamps are not the ones wanted or not in accordance with the instructions of the bidder, the bids are canceled. The small commission charged, usually 5 percent, is often saved many times to the bidder by thus employing an agent who has no direct interest in the sale. To summarize: Study the catalogue, mark those lots you wish to buy, enter a fair price that you are willing to pay for each lot, estimate the amount you wish to expend, and send your bids for about double this amount to an agent with full instructions as to your wants in condition, quantity, etc. Do not send trifling bids. Do not bid on something you do not want. And, if you make a mistake, do not try to hold someone else responsible.